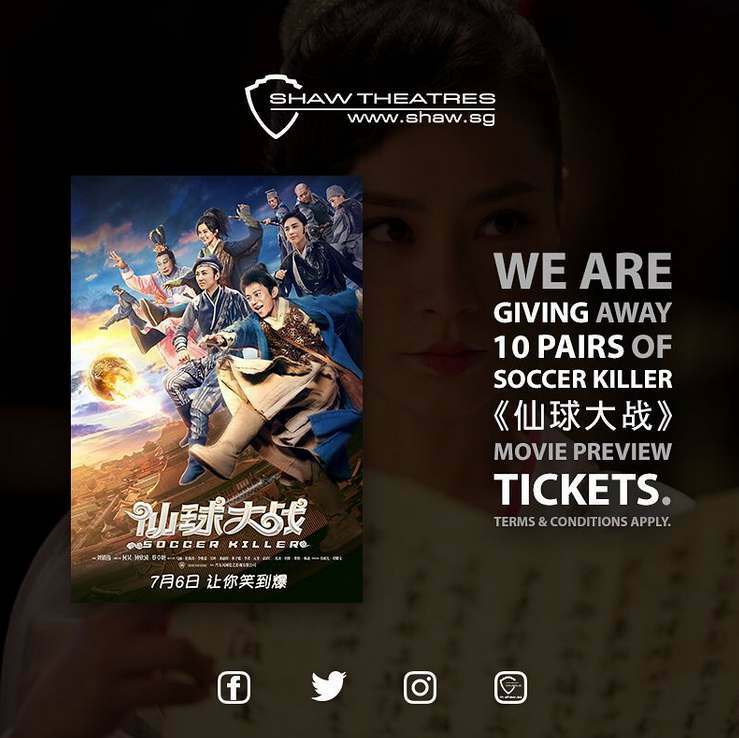 We are giving away 10 pairs of SOCCER KILLER 《仙球大战》 Movie Preview tickets! An action comedy film directed by Jeffrey Lau 刘镇伟 and stars He Jiong 何炅, Gillian Chung 钟欣潼, Charlene Choi 蔡卓妍. Visit https://www.facebook.com/ShawTheatres/ for more information! Note: Please ensure you are able to attend (should you win) before participating. Winners will be announced on 3 July by 12PM on our contest webpage so do check back then. Find out more at Shaw Theatres #Singapore.